Heavy duty #2MT live tailstock center with a 60 degree point. Huge live center for heavy duty workpieces. Cone is 2-1/2" long, by 1-11/16" diameter. This center is large and strong with precision bearings. It runs very true and is also well balanced and smooth for effective turning. 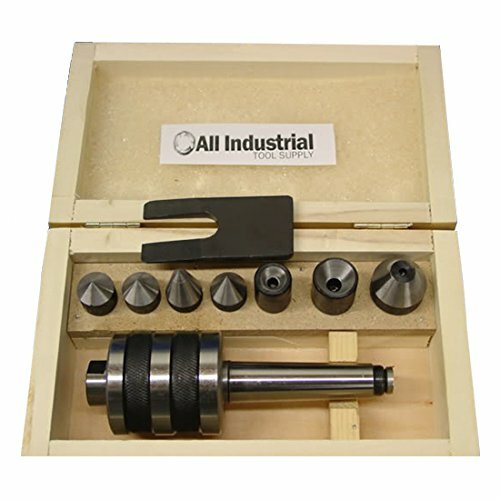 Ideal to support your work at the tailstock end of your lathe. High quality and performance Small body 23 mm Body diameter. Double bearing Revolving Live Centre Short MT0 Shank. OAL 67.50 mm Tool Steel Housing and hardened point. 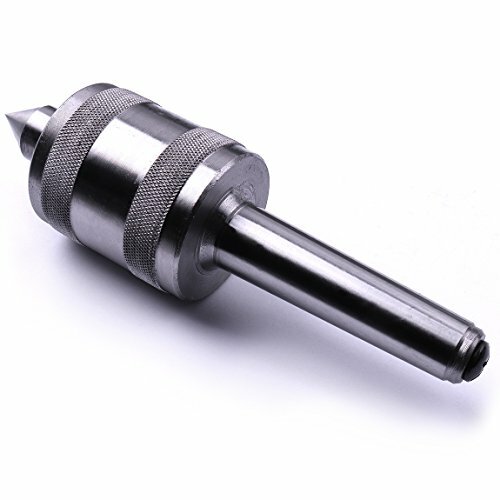 Run out within 0.001" Suited for small woodworking lathes. 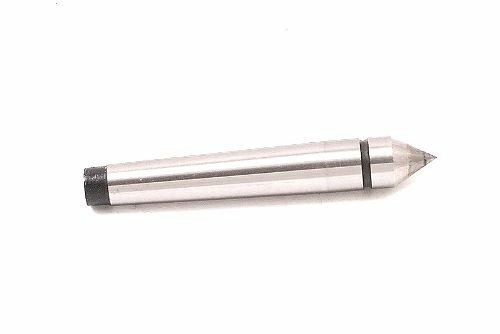 Compatible with lathes having Morse taper 0. Body Diameter is 23 mm. Double Bearing n the Case. Epoxy Black Finish for a Rust Free Life. MT2 Steel Dead Center ~ Hardened and ground. ~ +/- .0002" TIR. ~ Overall length is 3.9". ~ 60 point. 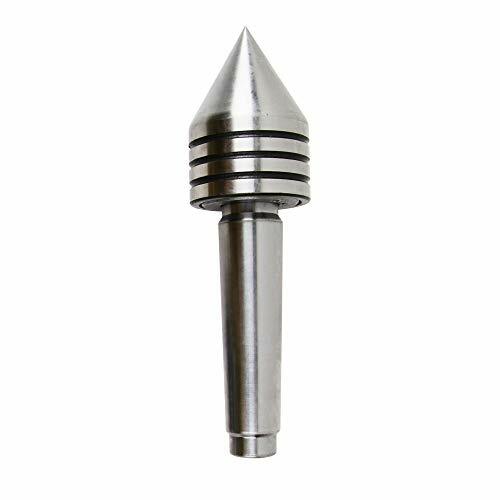 These 60 degree cone live centers are ideal for many turning projects and is a must have for woodturners. 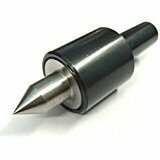 Perfect for pen turning mandrels, weed pots and any other general turning project, it helps hold very small or larger, bulkier lathe turned pieces in place and provides security when using the Cole jaws. These heavy duty ball bearing centers can be used for holding a workpiece with a hole from 1/8" to 1- 1/8" diameter. The excellent fit and finish, heavy duty construction, smooth ball bearings make it a reliable time saver. 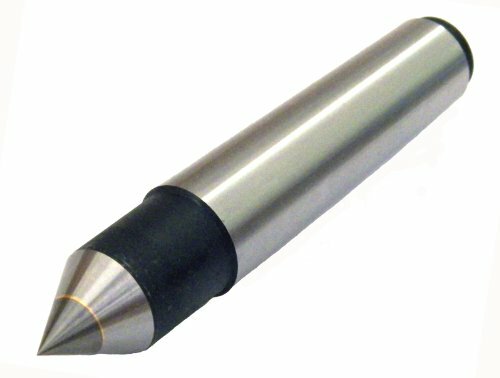 MT4 Carbide Tipped Dead Center ~ Hardened and ground. ~ +/- .0002" TIR. ~ Overall length is 6.3". ~ 60 point. Large diameter: 6" (150mm). 75 Degree. Morse taper No. 3. 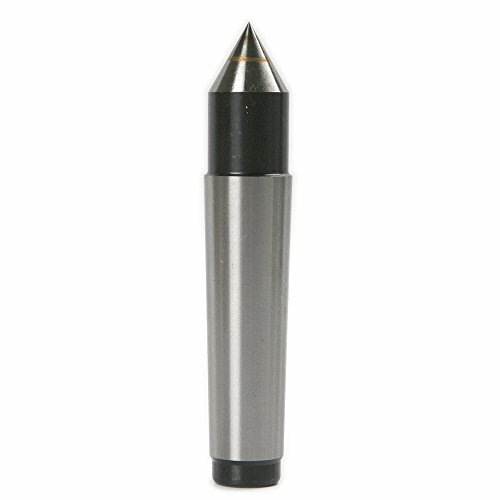 MT5 Carbide Tipped Dead Center ~ Hardened and ground. ~ +/- .0002" TIR. ~ Overall length is 7.9". ~ 60 point. 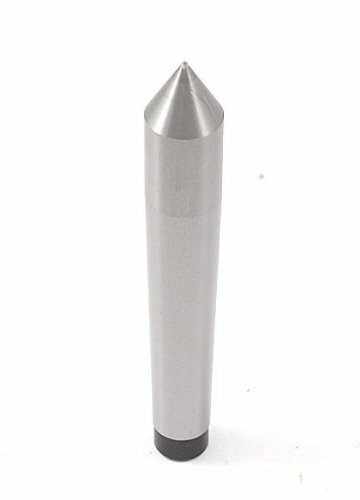 Overall Length: 5.94"; Outside Diameter: 1.77" ; Point Diameter: 0.94";Point Length: 1.22"
Shank Size: Morse taper #2; Max RPM: 4,000; Accuracy: 0.000197" ; Load Capacity: 270 lb; Center Point: 60 degree. 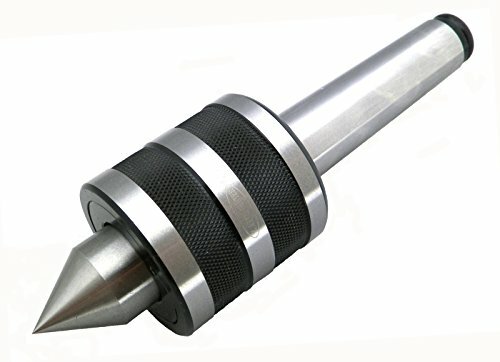 Designed for high speed lathe and CNC lathe to achieve high precision. Shank Size: Morse taper #3. 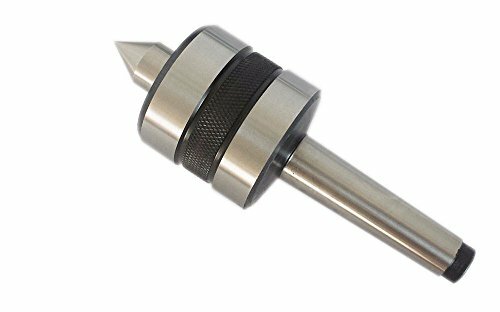 Overall Length: 5.94"; Outside Diameter: 2.05" ; Point Diameter: 1.02";Point Length: 1.34"
Shank Size: Morse taper #3; Max RPM: 3,000; Accuracy: 0.000197" ; Load Capacity: 660 lb; Center Point: 60 degree. 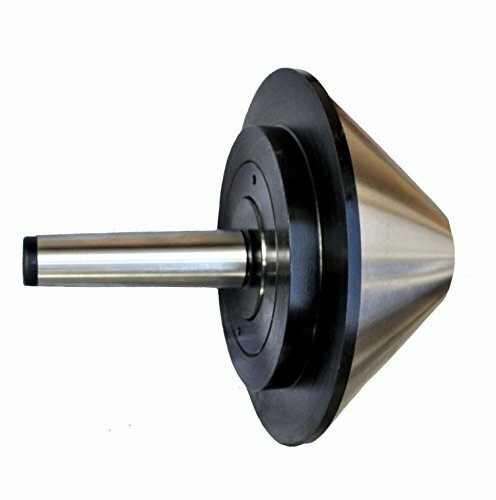 Triple ball bearing design with extended long spindle with CNC point to enhance grinding wheel clearance. Shaft is made of alloy steel through heat treatment to Rc 60-62 to achieve high rigidity and durability. Dust and water proof seal. High strength and abrasion resistant. 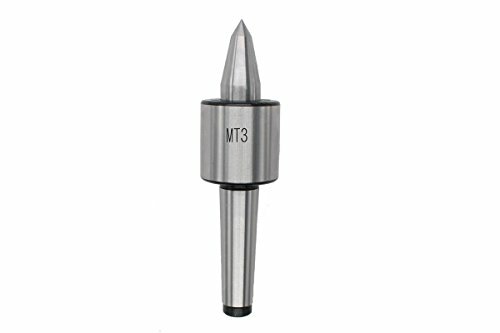 MT2 Carbide Tipped Dead Center ~ Hardened and ground. ~ +/- .0002" TIR. ~ Overall length is 3.9". ~ 60 point. 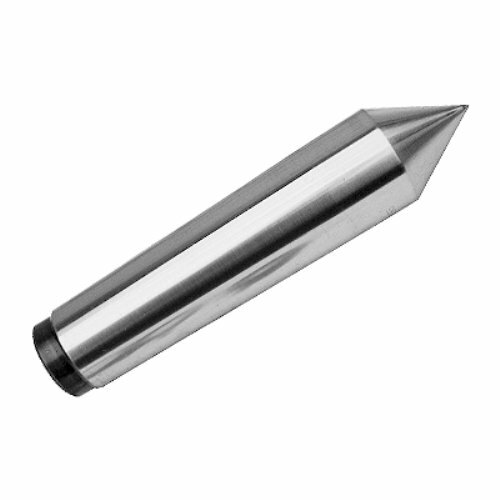 MT3 Carbide Tipped, Half-Notched Dead Center ~ Made of tool steel, hardened and ground.~ +/- .0002" TIR ~Overall length is 4.9" ~ Height of the notch is .59" ~ Widest diameter of the taper is.94". Widest diameter of the taper (H) is .94 ~ D is 23.825mm. 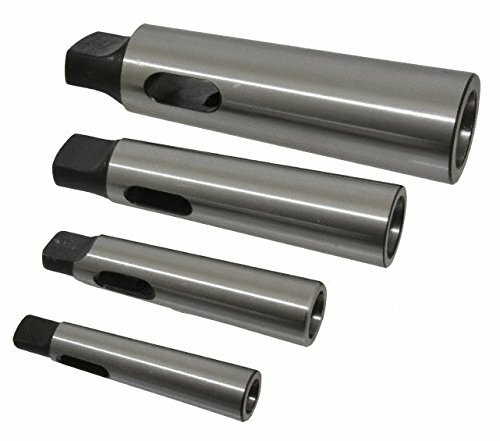 4 Piece Morse Taper Sleeve Set. Used to convert spindles to larger or smaller tapers and extend the spindles of drill presses, radial drills, boring mills and turret lathes. 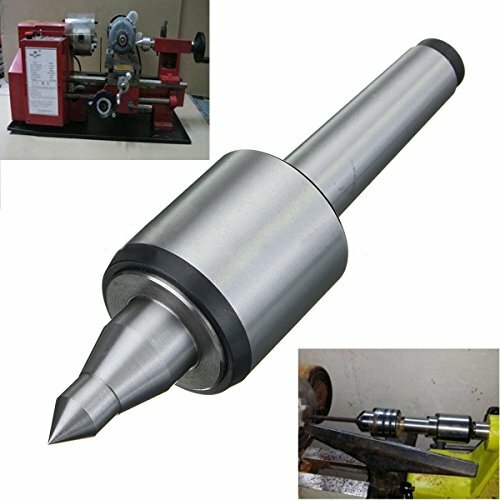 Used to convert spindles to larger or smaller tapers and extend the spindles of drill presses, radial drills, boring mills and turret lathes.